CRUISIN AUTOMOTIVE are an authorised dealer of Techflex. We supply and install. 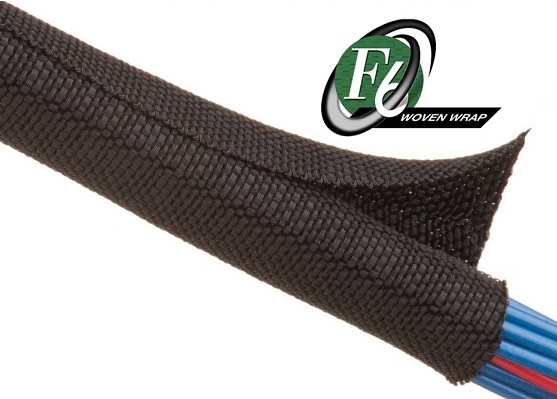 Techflex is the most advanced expandable braided sleeving products for the management and protection of cables, hoses and wires. Easy cost and labor effective installation. More flexible than Split Convoluted or Spiral Wrap. 25% Edge Overlap, Halogen Free and available in 4 Colours. High coverage self wrap around. Easy cost effective installation. More flexible than Convoluted or Spiral Wrap. Ideal for protecting components without discounting them. Available in 2 Colours. Can withstand heat up to 815°C/1,500 °F. High temperature resistance. Resists gasoline and engine chemicals. Economical long lasting protection. Withstand heat up to 650°C/1,200 °F. Easy, slip on installation. Cut and abrasion resistant. Available in 4 Colours. Stable to 260°C/500 °F. Jacketed with a non-permeable heavy silicone coating that is flexible enough to follow tight radius curves. Contains radiant heat to prevent damage to nearby components. Can’t see the product you are chasing? No problem. CRUISIN AUTOMOTIVE will source the product for you. Ring Ian now on 0417 911 702.